What is Code for Sustainable Homes? The Code for Sustainable Homes has been developed to enable a step change in sustainable building practice for new homes. 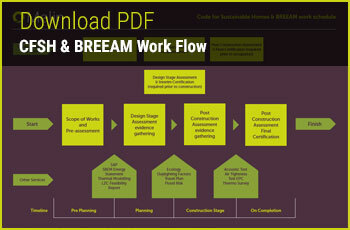 It has been prepared by the Government in close working consultation with the Building Research Establishment (BRE). Code compliance is currently voluntary across some parts of the UK yet a mandatory requirement for development in others. 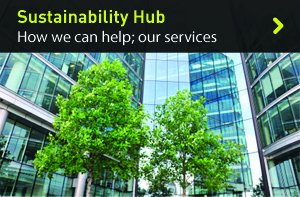 As the UK moves towards improved carbon targets and more sustainable buildings it is envisaged that Code for Sustainable Homes and other nationally recognised assessment schemes will play a pivotal part in setting minimum standards and providing a consistent benchmark for exemplar projects. Adherence to the Code generally means that generally buildings are built to a higher specification than that required for Building Regulations. What's more, with ever increasing energy prices and house-buyers examining the running costs of their new homes, the finished building is an attractive alternative to any non-Code housing stock. Code is currently the only nationally recognised assessment scheme in the UK that is indicative of a buildings overall sustainability and as such is a very useful way of comparing buildings in different locations. The Code examines the building's performance across nine design categories including energy, pollution and materials. These are then graded according to strict criteria, resulting in an overall rating for the home from level 1 to level 6 which is a defined as a zero carbon home and the highest award achievable. Evaluation is carried out by specially trained and accredited independent assessors such as Melin Consultants. The appraisal is then audited remotely by an accredited body for quality control before the appropriate certification is issued for the building. At Melin we believe that a Code assessment shouldn’t cause additional problems for our clients and our whole process is designed to take away the burden of additional paperwork. Needless to say our assessors are focused with you in mind. After all a happy client means we have an easier job. 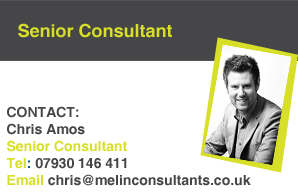 If you’re looking for a Code for Sustainable Homes assessor, get in touch with Melin Consultants. We offer good practical advice from the outset effectively maximising your design potential and providing a simple and straightforward approach that you will find appealing. Put simply hundreds of schemes have already been completed by Melin and we have be fine tuning our scope all along making for a first class service.